If sources are to be believed, then Congress is all set to field a Hindu-Muslim candidate to take on BJP's sitting MP PC Mohan. 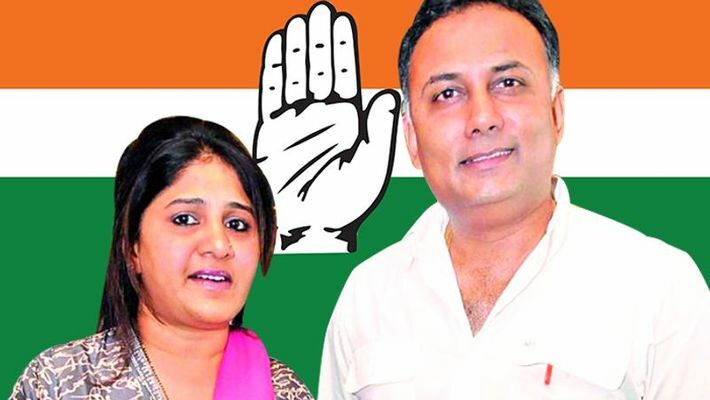 Dinesh Gundu Rao's Muslim wife Tabu Gundu Rao may be pitted by the Congress against the BJP in Bengaluru Central. Bengaluru: The Congress may field a surprise candidate to checkmate BJP in Bengaluru Central against sitting MP PC Mohan. According to sources, Karnataka Congress president Dinesh Gundu Rao's wife Tabu Gundu Rao, may be the likely choice. Tabu Gundu Rao is handling her Brahmin husband Gundu Rao's social media platform Facebook. Thus, she is aware of five-time MLA Gundu Rao's efforts in Gandhinagar Assembly segment. "The BJP will be clueless to corner her in case the party fields her. Although she has been married into a Brahmin family, she is doing fine and connects with both the Hindu and the Muslim community. It will be a masterstroke against PC Mohan. Since the Bengaluru Central has over 3.5 lakh Muslim voters. Tabu can at the same time earn the confidence of Christians and other linguistic minorities like Tamils and Telugu communities in Bengaluru Central, which may work in Congress's favour," said a source. However, Dinesh Gundu Rao denied this. "The party will decide on the candidature for Bengaluru Central seat. As far as I am concerned, this information of my wife being one of the candidates is not true. This is just a rumour," said Rao. Bengaluru Central seat is retained by the BJP since the last two terms and PC Mohan has emerged as an undisputed king from this segment. The BJP says Tabu has no record of any political success and the Congress may not field her. "We are not bothered about her and we will only win," said S Prakash, BJP spokesperson. Earlier, Congress aspirant MLA R Roshan Baig said he will be contesting against PC Mohan. "As far as I know, she will not contest. I am one of the aspirants and I am serious. Yet, the party may make come up with surprises at the last minute," said Baig. In 2014, BJP's PC Mohan got 557,130 votes (11.69% higher than the Congress). Congress candidate Rizwan Arshad, secured 419,630 votes and JD(S) candidate Nandini Alva got only 39,869 votes. The Bengaluru Central Lok Sabha constituency has a total of about 14 lakh voters, with the BJP having a stronghold. There are eight Assembly constituencies of the Bangalore Central Parliamentary constituency, out of which CV Raman Nagar and Mahadevapura are reserved for candidates belonging to the Scheduled Castes. Both these Assembly segments are retained by the BJP candidates.